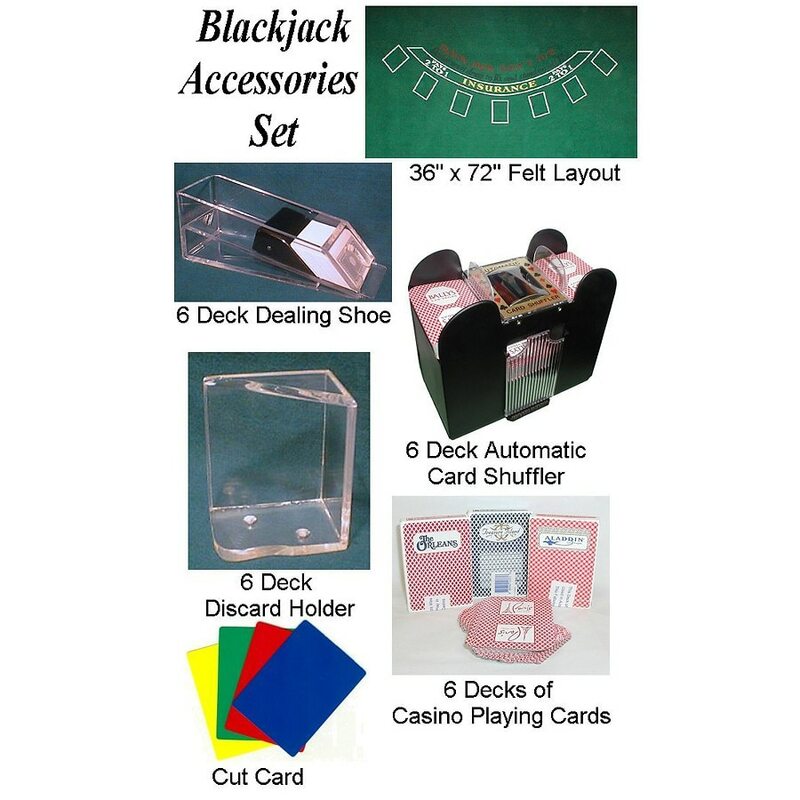 This professional quality Black Jack equipment is perfect for home play, and for use in a Monte Carlo night setting! Layout can be easily mounted to a table if desired. The components that make up this set retail for over $130.00 if bought separately - so don't miss this unbeatable deal!